On Friday 20th September, Felicity of Dancing Pencils was given a full two and a half hour slot to introduce to Early Childhood Development Practitioners a concept of non violence in schools combined with creativity and whole brain development. 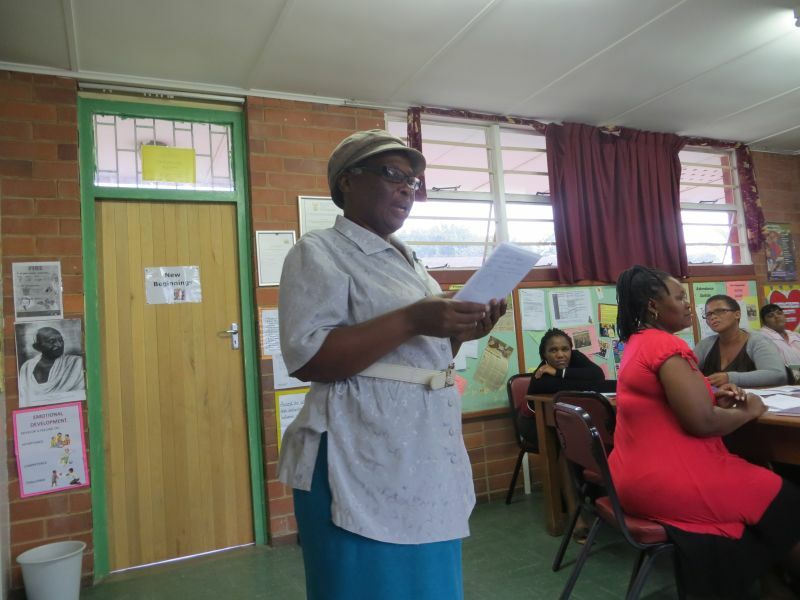 The training of Early Childhood Practitioners is the work of New Beginnings Organisation for Development with offices in Chatsworth. 15 student teachers came from various schools, local and outlying. They readily fell into the training that included the creativity of the right brain and after the usual right brain story writing method, all wrote and illustrated stories which they can take back to their classes and read to the children. Children readily believe if someone else has written a book by hand and illustrated it, that they can do the same! It is growing this belief system in children that develops creativity, self esteem and self confidence. All enjoyed the experience and the magic of the right brain! In this way, creativity and whole brain learning, with an emphasis on reading and writing, spreads! I am interested in joining the club, as I love to write and develop our children and youth in our society. I really like your club and all what you offer. I really sure you will admit me looking to hear from you. If you live anywhere close to Durban, you may like to phone Detlev Diegel on 072 3844 754. He runs a writing club at The Bat Centre on Saturday afternoons. You need to make an appointment.